Cyprus Walks etc constitutes a combined effort by a collection of partners to offer high quality services and authentic experiences relevant to Cyprus natural and cultural heritage. It is used as a vehicle through which professionals in the authentic ecotourism sector offer relevant services to travellers. It was formed in 2010 and is constantly expanding the menu of offered services as well as the network of associates. Phivos Ioannides is the driving force behind Cyprus Walks Etc. Phivos has been involved in ventures related to nature and cultural heritage of Cyprus (what he terms as 'authentic ecotourism in Cyprus') since 2002. He was born in Famagusta (has roots in rural Paphos, Mesaoria and Laona region next to Akamas) and lived in Mesaoria and on Pentadactylos mountains until the age of eight, and subsequently in Nicosia. He studied Computing Science at Imperial College, London and completed an M.B.A. at the University of California, Berkeley (under a Fulbright scholarship). Phivos explored extensively the countryside on foot, by bicycle and car and the coastal sea by boat and Waterbike. In 2002 he designed and produced the popular www.natureofcyprus.org. In 2007 he left a successful career in finance and consulting to follow his passion for exploration, nature and cultural heritage. He is the creator and manager of Cyprus Walks Etc. 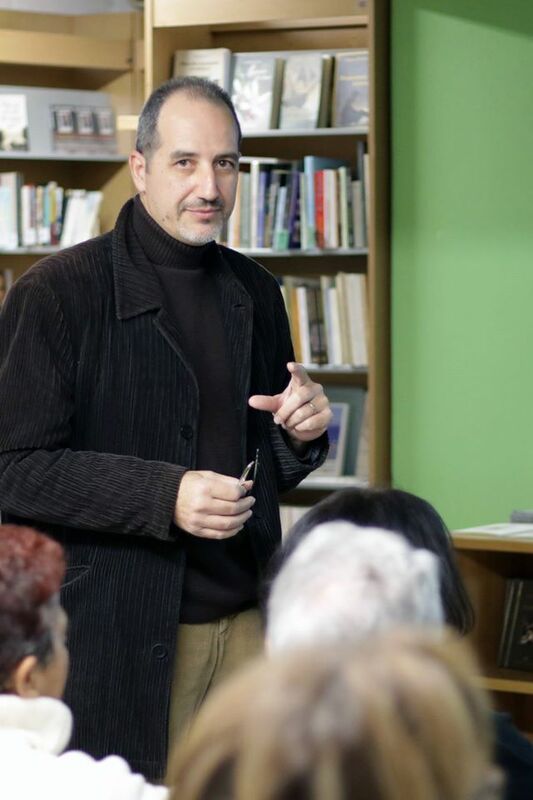 He is the author of the books 'Guide on Nature of Cyprus' (2009) and 'Exploring Authentic Cyprus' (2015). He has a professional minibus driving licence and a First Aid licence. He is a diver since the late 80s and has a motorboat licence for more than a decade. He is involved in photography and videography for more than 10 years (shooting thousands of photos and producing tens of video clips). He has been involved in designing many walking routes around Cyprus, as well as in the production and the promotion of relevant maps, websites, brochures and videoclips. He plays the clarinet. Besides his native Greek, Phivos speaks English fluently as well as good Spanish and German. He also studied (some) French and is currently learning Chinese.